Sarah Council is a choreographer and teacher. She founded Sarah Council Dance Projects (SCDP) in 2007 as a platform to explore her choreographic ideas. Council’s choreography has been presented in numerous venues in NYC including: The Green Building, The 92nd St. Y, The LaGuardia Performing Arts Center, Times Square Arts Center, The Flea Theater, The Secret Theater, The LABA Theater, The Riverside Theatre, Green Space, Triskelion Arts, Topaz Arts, Merce Cunningham Studio, Dance New Amsterdam, Gowanus Arts. Council’s work has also been presented at the following venues in Washington, DC, Kentucky, Pennsylvania, Florida and North Carolina: Dance Place (DC), The Jack Guidone Theater (DC), Franklin Marshall University (PA),Glema Mahr Center for the Arts (KY), Jacksonville Episcopal School (FL), Meredith College (NC), Bennett College (NC) and The Duke Energy Theater (NC). As a dance educator, Council believes that the creative process is empowering and transformative for individuals and communities. Sharing this process is a passion and priority for SCDP. In this effort, Council has conducted residencies, presented lecture demonstrations and taught master classes and dance-making workshops to people of all ages and abilities throughout New York City, New Jersey, Washington DC, Pennsylvania, Kentucky, Florida and North Carolina. 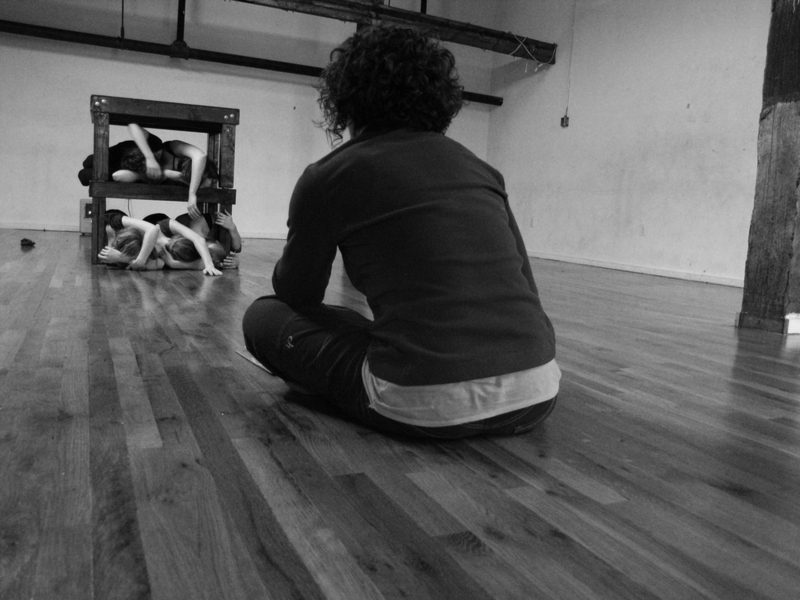 SCDP offers Move, Create and Collaborate: arts- integrated creative dance residencies for K-12. These residencies are currently being implemented in Charlotte Mecklenburg public schools. Along with presenting her own programming, Council has worked with arts education organizations; Together in Dance (NYC), The New Jersey Performing Arts Center (NJ), The Wolf Trap Institute of Early Learning for the Arts (DC/NJ/NC), American Dance institute (DC), Dance Place (DC) and Joy of Motion (DC). She has performed with Gesel Mason, Deborah Riley, Helanius Wilkens, Cynthia Word and Citydance Ensemble. Sarah has a BFA from the University of Oklahoma and is a Certified GYROTONIC® trainer. My process unfolds in three phases: collection, expansion, and distillation. I am a collector. I collect things that I see, hear and read. I collect words, phrases, ideas and objects. I treasure color and line. I observe the uniqueness of people and the interactions between them. These collections are filed away in my imagination, only to reemerge as seeds of a concept or threads of an idea. When these entry points present themselves, I begin mapping images, gestures, and phrases, allowing a movement vocabulary to emerge. As I move into the expansion phase of the creative process, I enter into explorations that move past my first thoughts and most obvious solutions. Searching for what is just behind my initial instincts; these explorations unfold over time and allow for the building of layers and depth. Distillation is the final step of the process. Aesthetically I am drawn to the specific: clarity of line and articulation of gesture and expression. Ultimately, I want to reduce the work to only what it calls for, to only that which is essential.